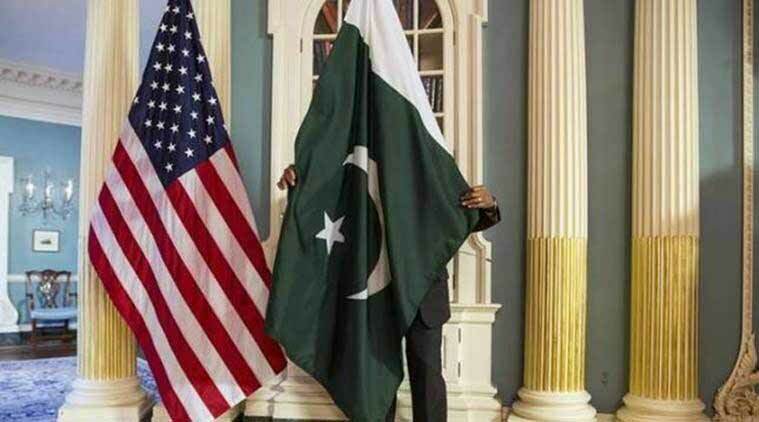 An influential US lawmaker has introduced a legislation in Congress to terminate the designation of Pakistan as a major non-NATO ally. India has suffered the highest number of fatalities (164 out of 6,593 personnel) among countries that have sent forces to the United Nations peacekeeping mission since 1948. Ethiopia and Rwanda have contributed the highest number of personnel, followed by three Asian countries — Bangladesh, India and Nepal. These five nations together account for a third of the total peacekeeping force. The interactive below shows the number of personnel contributed and the number of lives lost in each country. The top right corner indicates countries which have contributed the most personnel, but also have the most number of deaths. Close to 3,800 personnel have been killed during missions since 1948. Of them, 164 were Indians. Most of the deaths occurred during missions to Congo in the 1960s and former Yugoslavia in the 1990s. The Central Asia states are redrawing the boundary of their region, so the cartographers will have to run to keep up. “Central Asia” as a defined place of states and borders is a recent idea, dating to the immediate post-Soviet period when the former republics of Soviet Central Asia – Turkmenistan, Uzbekistan, Tajikistan, and Kyrgyzstan – declared that Central Asia should include the former Soviet republic of Kazakhstan. In 2018, Central Asia is again growing to include the neighbor to the south, Afghanistan. 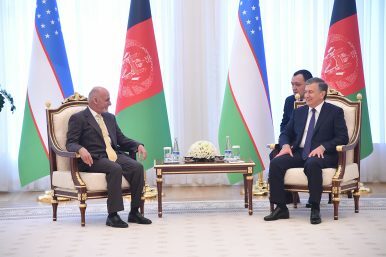 Central Asia is actively engaging Afghanistan on several fronts, all of which will be necessary if Afghanistan is to join its neighbors as a “normal country.” But projects will need to be executed in a disciplined fashion, unlike efforts such as the Turkmenistan-Afghanistan-Pakistan-India (TAPI) gas pipeline, which since 1995 has generated political maneuvering but no gas. The government in the Democratic Republic of Congo cut internet and text message services across the country two days in a row last week, as tensions rose ahead of the release of official results from last month’s presidential election. 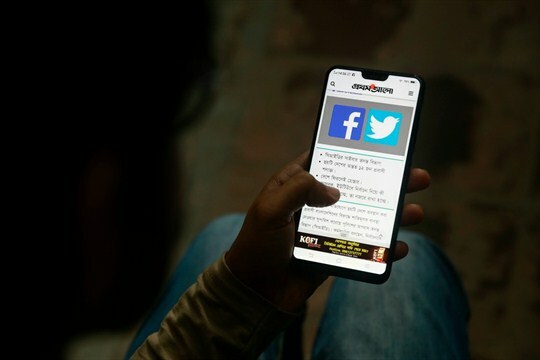 It was just the latest move to restrict internet access by a state with a poor democratic track record, as more countries appear to take their digital cues from the likes of China and Russia. 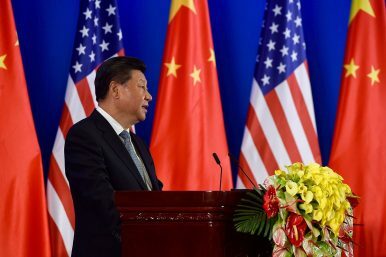 With the conclusion of the first round of negotiations yesterday in Beijing, the way ahead for the United States and China to avoid a full-scale tariff war has become clear. 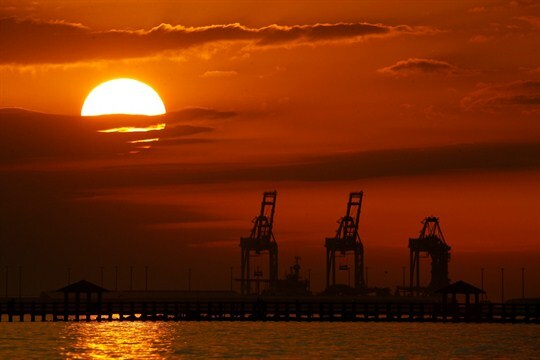 With fifty days remaining before the March 1 end of the truce Trump and Xi announced to prevent U.S. tariffs increasing from 10 to 25 percent on $200 billion of Chinese imports, negotiations are likely to continue until the deadline. But before March 1, Trump will declare “victory” in this phase of the trade war—extending the truce for another six months in which a second phase of negotiations will address even more contentious issues. My assessment is based on my analysis of the economic and political challenges that Trump and Xi are currently confronting. It is also informed by conversations with key members of Chinese president Xi Jinping’s team during a recent visit to Beijing. The space race developing between China and the United States will differ significantly from the Cold War original. China's space program is as commercially oriented as NASA's, giving the new space race an economic dimension the old one lacked. The military dimensions of the Sino-American space race also are shaping up differently, with a focus on protecting and threatening satellite communication networks rather than ICBMs. But this could quickly change. On Jan. 3, the China National Space Administration landed a lunar exploration vehicle on the far side of the moon. It was a remarkable technical achievement, possible only because China had already managed to put a relay satellite into a halo orbit some 64,000 kilometers (40,000 miles) beyond the moon, from which it can bounce signals from Earth down to the exploration vehicle (and vice versa), getting around the problem that the moon blocks direct communications with its far side. he era of U.S.-China cooperation is drawing to a close—What comes next? But 2018 will prove to be more than just a year of turbulence: We will look back on it as a turning point in U.S.-China relations, the closing of an era of expanding cooperation. That era dates from China’s entry into the World Trade Organization in 2001, and reached its most expansive phase in the wake of the global financial crisis, under U.S. President Barack Obama. There were even fears in the world of a “G-2,” of a U.S.-China condominium that would leave little room for anybody else. There is little risk of a G-2 now. But if 2018 was an end of an era, what comes next and how rocky will the transition be? Asian observers always keenly follow American politics, but never more so than now as they engage in a kind of American Kremlinology to discern how much of the turbulence and how much of the strategic shift in China is being driven by Trump, and how much is a function of wider dynamics. The short answer: The turbulence is Trump, especially on trade; but the deeper shift is structural. From January 7 to 9, a U.S. delegation was in Beijing for talks about trade issues amid an ongoing 90-day truce in the trade war. The delegation, led by Deputy U.S. Trade Representative Jeffrey Gerrish, extended its stay for an additional day; talks had originally been scheduled to conclude on January 8. Interestingly, while officially this was a vice minister-level dialogue, China’s top man for the trade negotiations, Vice Premier Liu He, made an appearance anyway. A leaked photo of the first day of discussions showed Liu present at the venue, along with Commerce Minister Zhong Shan and Vice Commerce Minister Wang Shouwen (the official head of the Chinese delegation). 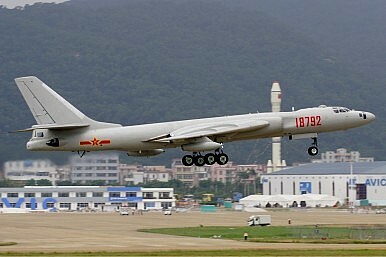 How Does China’s Air Force Learn and Adapt to New Circumstances? After a more-bark-than-bite approach to trade during his first year in office, President Donald Trump took on the world in 2018 and shows no sign of letting up. In Europe, British Prime Minister Theresa May has so far failed to convince Parliament to accept the Brexit deal she negotiated with Brussels. And under the radar, the World Trade Organization is facing paralysis if there is no compromise on how to reform its system of settling disputes. These are among the ongoing challenges that are likely to make 2019 another unsettling year for global trade. Even before the calendar turned to 2019, the salvaged Trans-Pacific Partnership, renamed the Comprehensive and Progressive Trans-Pacific Partnership, or CPTPP, went into effect for the first six countries to ratify it. That means American farmers, already under pressure from Trump’s trade war with China, now face a competitive disadvantage in another major market because of Trump’s withdrawal from the TPP. With the CPTPP’s implementation, Japan must reduce its tariffs on beef, pork and other agricultural imports, mainly to the benefit of Australia, Canada, Mexico and New Zealand. The breadth and size of the disadvantage facing American farmers will grow as more countries ratify the CPTPP and phase in the deal’s sizable tariff cuts that are not available to U.S. exporters. Domestic constraints in the eurozone's four largest economies will limit their ability to cooperate at the Continental level. 2019 will test the health of nationalist and populist political movements, which represent the main threat to the continuity of the European Union in its current form. This year, the bloc will face three sources of economic risk: trade disputes with the United States, Brexit and economic fragility in Southern Europe. The European Union will be under domestic and external pressure to limit Chinese access to strategic technology and resist Beijing's investments in infrastructure. Washington is literally at a standstill over the funding for a wall on the United States southern border. 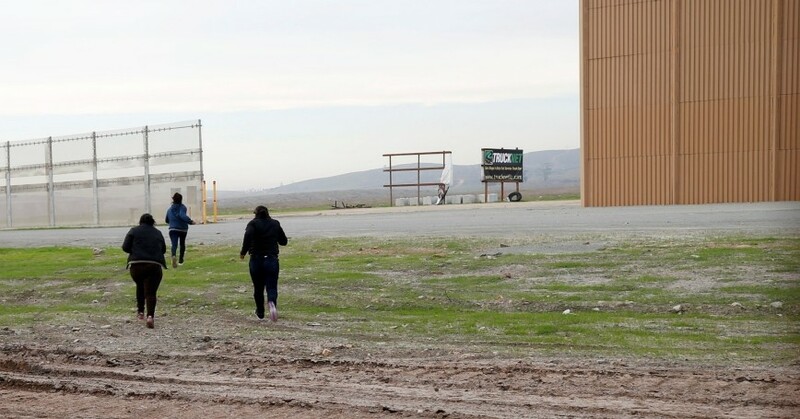 Putting aside the politics behind the gridlock for the moment, the substance of the debate hinges less on the need for border security and more on differing claims about the effectiveness of such a wall. President Trump has claimed a wall would be “99.9 percent” effective at stopping illegal immigration while leading Democrats argue a border wall is unnecessary and would be “ineffective.” And so it may be worth stepping back from the politics of the day to view walls in their historical context. After all, states have been building walls since ancient times. Some were arguably quite successful, others less so. At the core of prudent policy lies a basic question: What can walls realistically accomplish? Historically, walls were used to keep invaders out. The early Chinese states built what has become known as the Great Wall to protect themselves against the nomadic groups of the Steppes. Roman Emperor Hadrian constructed a wall across the British isle separating the Roman domain from troublesome northern tribes. More recently, Israel has employed several walls along the West Bank and Gaza, as well as along its northern and southern borders, to protect itself from terrorism, smuggling, illegal immigration and other threats. China faces growing resistance to its economic projects in Kyrgyzstan as Beijing expands its economic footprint via its Belt and Road Initiative. Anti-Chinese protests and social media activity could portend larger economic and political challenges for China in Central Asia and factor into Beijing's regional competition with Russia, as Beijing's growing presence could threaten Moscow's position. Around 300 protesters rallied in the Kyrgyz capital of Bishkek on Jan. 7 to call for the deportation of illegal Chinese migrants, oppose the granting of citizenship to Chinese who marry Kyrgyz nationals, challenge the persecution of ethnic Kyrgyz in re-education camps in China's Xinjiang province and push against China's broader economic ties to the country. More protests were called for Jan. 17. The year 2018 was marked by extraordinary natural disasters in the United States and around the world. California bore witness to devastating mudslides in Montecito and massive wildfires across the state, including the deadly Camp Fire in Northern California that scorched more than 150,000 acres. In the South, Hurricane Florence deluged the Carolinas while Hurricane Michael landed in the Florida Panhandle as the third-strongest storm ever to come ashore in the U.S. While the loss of life from natural disasters is immeasurable, the destruction of property and infrastructure can cost hundreds of billions of dollars. Scientists believe the damage will only get worse as climate change creates more frequent and intense weather events. So, how should governments, communities and individuals prepare in the new year? Smart-city experts share examples of successful public–private partnerships from around the world. How does a city transform itself into a smart city? One strategy involves bringing the private sector into the fold, to provide funding, technical know-how, and innovation that complements public-sector efforts. But bringing these two different elements together can also prove challenging in practice. At a recent smart-cities event in New York, convened by the McKinsey Global Institute, Kathryn Wylde, president and CEO of the not-for-profit Partnership for New York City, asked smart-city experts for examples of successful public–private partnerships. Rit Aggarwala, head of urban systems at Sidewalk Labs and adjunct professor of international and public affairs at Columbia University; Ester Fuchs, professor of international and public affairs and political science and director of the urban and social policy program at Columbia University; and McKinsey partner Jonathan Law shared the following thoughts. This may explain why President Donald Trump threatened to continue the shutdown for months, even years. However, a poll conducted in the first week of January shows that 51 percent of adults believe Trump is to blame for the shutdown. I’m a scholar of political science and often research presidential politics. I did an analysis of Gallup data, a group that does public opinion polling, from its Presidential Job Approval Center. There have been 18 shutdowns since 1977. I found that in the nine longest shutdowns during that time, presidents lose an average of 3 percentage points of public support or approval during a government shutdown of four or more days. Professor Richard Baldwin presents Globalization 4.0 as an oncoming era dominated by international arbitrage in services. I would like to reiterate an alternative - or perhaps complementary - perspective that draws on recent work and is inspired by the economic historian Karl Polanyi. Professor Baldwin calls the pre-1914 period Globalization 1.0, the post-1945 era Globalization 2.0, and implies that our most recent era was Globalization 3.0. The latter is characterized, in his view, by “factories crossing borders”. Since he sees Globalization 4.0 as distinctively disruptive - notably due to the “globotics upheaval”, the blend of globalism and robotics - one might suggest that 4.0 should be followed by 5.0, analogous to Globalization 2.0, which overcame the worst excesses of the preceding disruptive phase. Protesters carry American and Mexican flags at an immigration-reform march in Los Angeles, Calif., in 2013. (Lucy Nicholson/Reuters)Mexico does not explain why its citizens wish to leave their birth country — or why they are eager to enter a country ridiculed by the Mexican press and government. While the quasi-civilian administration led by Suu Kyi has failed to condemn the actions of Myanmar’s still-dominant armed forces, known as the Tatmadaw, the former global human rights icon has pushed forward with a government peace initiative designed to end a myriad of long-running ethnic conflicts which have blighted the country’s remote borderlands for seventy years. And though talks first began under the former military regime, Suu Kyi attended the latest rounds of dialogue held in July and October 2018. President Donald Trump wants to bring Americans home again. Seventeen years after the 9/11 attacks, U.S. troops are currently engaged in seven countries under outdated legislation, and the commander in chief has suggested that two of those open-ended wars may be closing. 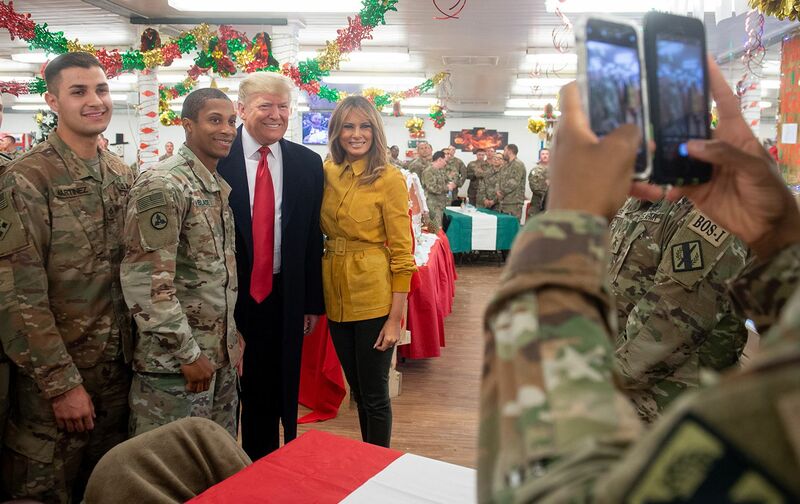 Ignoring officials’ advice, he declared victory over the undefeated Islamic State group (ISIS) last month and ordered the withdrawal of 2,000 U.S. troops from Syria. He also significantly cut American forces in Afghanistan by instructing the Pentagon to rotate home 7,000 service members in early 2019. Like George W. Bush declaring “Mission Accomplished,” Trump has asserted that American forces will come home under a banner of victory. He argued on Twitter that if his predecessors brought troops home and crippled militant extremists, they would have been hailed as national heroes. The Army is rolling out a new tactical modem, a device that connect troops in the field to commanders for communicating orders and instructions . The new modem supports communication in the Precision Fires-Dismounted system and Advanced Field Artillery Tactical Data System. To develop the latest iteration, which replaces a 19-year-old system, the Army went in house. It now owns all the intellectual property, the source code and the technical data, in a move that planners say will make the new Ultralink modem cheaper and more readily available. “We make the cables, we make the cases, we make the boards. 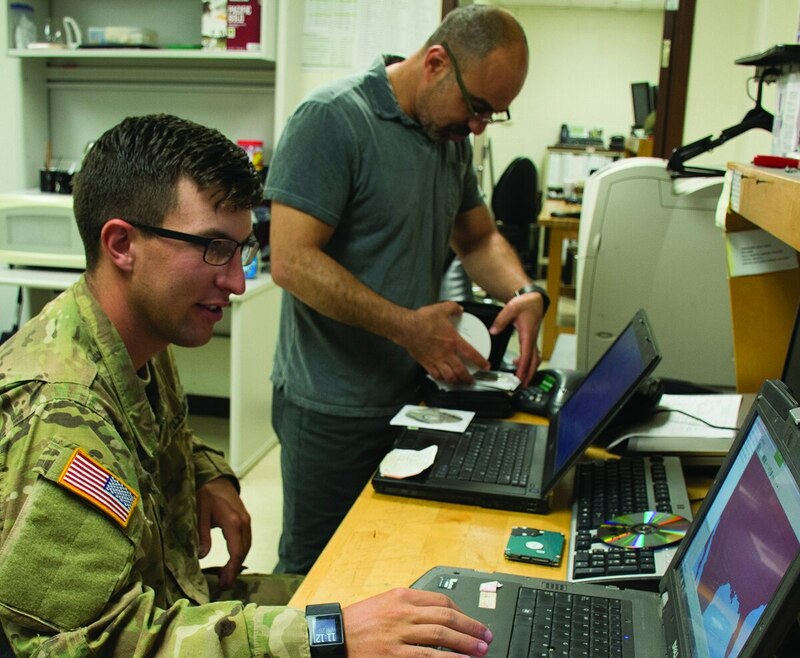 So now we can do repairs, we can buy just the components and do replacements as needed, which makes it an order of magnitude cheaper,” said Ben Foresta, Branch Chief, Unified Laboratory for Tactical Radios-Army (ULTRA), U.S. Army. After a quarter-century of post-Cold War neglect, the Department of Defense has once again become serious about electronic warfare: the art of detecting, disrupting, and deceiving enemy radio and radar. But battles between electrons are invisible, literally and often politically as well, and EW must fight for attention and resources with higher-profile efforts from hypersonic missiles and missile defense to combat readiness for everything from fighter jets to nuclear submarines. When I published the article “Understanding Blockchain” many of you wrote me to ask me if I could make one dedicated to Artificial Intelligence. The truth is that I hadn’t had time to get on with it and before sharing anything, I wanted to finish some courses in order to add value to the recommendations. 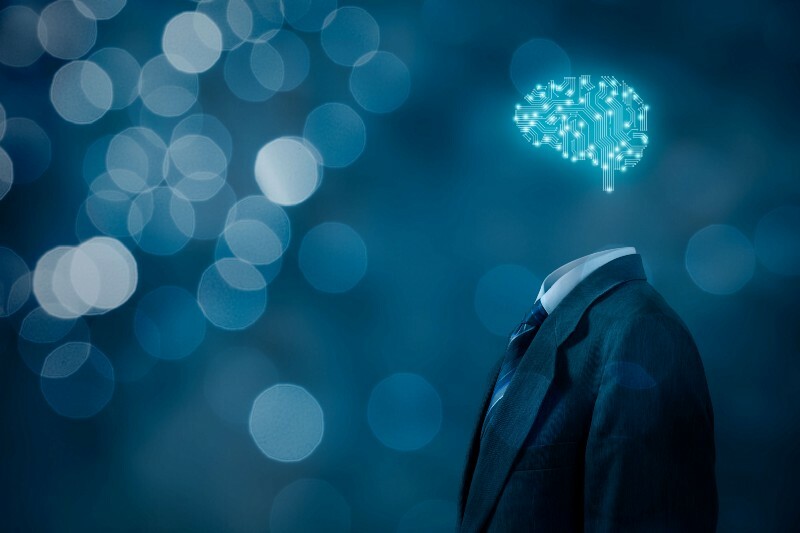 The problem with Artificial Intelligence is that it’s much more fragmented, both technologically and in use cases, than Blockchain, making it a real challenge to condense all the information and share it meaningfully. Likewise, I have tried to make an effort in the summary of key concepts and in the compilation of interesting sources and resources, I hope it helps you as well as it did to me! Ayear ago, I picked seven technologies that would play significant roles in 2018. Some of my predictions were correct, and some of them reappear on this list — 5G hasn’t quite happened yet, but we’re getting closer. As George Saville, the 17th-century English statesman and essayist, once wrote, “The best qualification of a prophet is to have a good memory.” It’s a fancy way of saying the past is prologue, and no vision for the near-future is possible without analyzing past trends. That’s what I’ve done to concoct these informed guesses about the state of tech in 2019. Of course, there are bound to be surprises and off-base prognostications. Don’t sue me if things go a bit differently than expected. Over the past two months, unusually public negotiations between the White House and the U.S. Department of Defense on the 2020 defense budget request have bounced from $733 billion down to $700 billion, and then back up again to $750 billion. All of this swamps the Obama administration’s last national defense budget request for FY 2017—$608 billion. And if you think these shifts have been dynamic, just wait until the now-divided Congress takes up the question this spring, “in light of the fact that the current legal cap on defense spending for 2020 is $576 billion (not including Overseas Contingency Operations funding for current military operations). Political and military leaders are throwing around a lot of really big numbers in their public remarks, raising the question: How much does the United States really need to spend on defense? And how will we know when we get there? Published in October 2017, Field Manual (FM) 3-0, Operations, emphasizes the Army’s four strategic roles as part of the joint force: shape the security environment, prevent conflict, prevail in large-scale combat operations, and consolidate gains to make temporary success permanent (see figure 1).1 This is a significant departure from previous operational-level doctrine, which tended to focus on the tactical-level operations from the line of departure to a limit of advance with little discussion of linkages between strategic policy goals, operations, and the tactical tasks units conduct to achieve a desired end state across the conflict continuum. The new approach is necessary to account for an operational environment that is very different than those in Afghanistan and Iraq, an operational environment characterized by peer threats able to contest the joint force in all domains. WASHINGTON: At least a dozen major Army weapons programs face big decisions in 2019. The service will launch a competition for new armored vehicles; award development contracts for scout aircraft and helicopter engines; conduct key tests of long-range missiles, anti-aircraft defenses, rifles, targeting goggles, and multiple battlefield networks; and field new electronics for command posts, acquisition officials tell me. Details of dates and programs follow, but the big picture is there’s a lot at stake for the ambitious Army modernization plan launched in October 2017. No wonder, then, that the fathers of that reform, Army Secretary Mark Esper and Chief of Staff Gen. Mark Milley, will be watching this year’s progress like a pair of hawks. (Of course, Milley may do so from an even higher perch as Chairman of the Joint Chiefs of Staff).